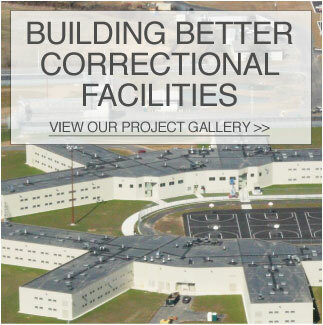 All information included in this website (the "Site"), such as text, graphics, photos, logos and images (the "Materials") are provided by United Prison Equipment ("UPE") and may be used for informational purposes only. Single copies of Materials placed on the site may be downloaded subject to the Terms below. By downloading any materials from this site or otherwise using this Site, you agree to these Terms. If you do not agree to them, do not use the Site or download any materials from it. The materials are provided "as is" without any express or implied warranty of any kind including warranties of merchantability, non-infringement of intellectual property, or fitness for any particular purpose. In no event shall UPE or its suppliers be liable for any damages whatsoever (including, without limitation, damages for loss of profits, business interruption, loss of information) arising out of the use of or inability to use the materials, even if UPE has been advised of the possibility of such damages. Because some jurisdictions prohibit the exclusion or limitation of liability for consequential or incidental damages, the above limitation may not apply to you. UPE further does not warrant the accuracy or completeness of the information, text, graphics, links or other items contained within these materials. UPE may make changes to these materials, or to the products described therein, at any time without notice. UPE makes no commitment to update the materials. All Materials included in this website, is the exclusive property of UPE and is protected by United States copyright laws. Permission is granted to view and photocopy (or print) materials from this website for personal, non-commercial use only. Any other copying, distribution, retransmission or modification of the information in this document, whether in electronic or hard copy form, without the express prior written permission of UPE, is strictly prohibited. In the event of any permitted copying, redistribution or publication of copyrighted material, no changes in, or deletion of, author attribution, trademark legend or copyright notice shall be made. All contents of this document are: Copyright © 2010 United Prison Equipment All rights reserved. Identification information submitted to UPE through forms, submissions or in any other manner on this Site or other information collected by UPE with regard to the use of this Site is governed by UPE's Privacy Statement. UPE reserves the right to change, modify or update these Terms at any time without notice. You should visit this page from time to time to review the then-current terms binding on you. All rights reserved. United Prison Equipment. 6306 Fifth Street, Green Lane, PA 18054, USA.